Use these round epoxy stickers to create a 3D look in your bottle cap project! Made of high quality epoxy. 100 Pcs 1" Crystal Clear Epoxy. Seals and protects pictures to 3D effect. Self adhesive. Prolonged exposure to sunlight may cause the stickers to yellow. 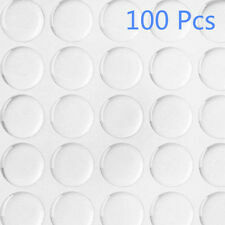 20/40/60/100 Pcs 3D 1" DIY Circles Stickers Crystal Clear Epoxy Adhesive Round. Use these round epoxy stickers to create a 3D look in your bottle cap project! Made of high quality epoxy. 100 Pcs 1" Crystal Clear Epoxy. Suitable for Peugeot 106/206/207/307, Citroen C2/C-Elysee/Xsara/Picasso. 2pcs Fluid Reservoir Tank Bottle Cap Liquid Filled Tube Cap. 2pcs Bottle Cap. Prevent water in liquid reservoir overflow, ensure your driving safety. Feature: Brand new and high quality Seals and protects pictures to 3D effect Color: Clear Material: Epoxy Size: approx. 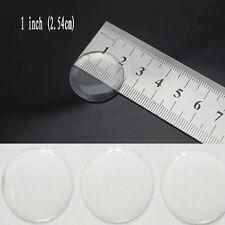 2.54cm Packaged：20pcs Round Stickers Conversion: 1 inch=25.4mm or 1mm=0.0393inch. Feature： Brand new and high quality It is a good gift for your lover, family, friends and coworkers Self adhesive Scratch /Water resistant Seals and protects pictures to 3D effect Color: Clear Material: Epoxy Size: approx. 2.54cm Packaged：20pcs Round Stickers Conversion : 1 inch = 25.4mm or 1mm = 0.0393 inch Notice: 1.Please allow 1-3mm error due to manual measurement. 2. The colors may have different as the difference display, please understand. Feature： Brand new and high quality It is a good gift for your lover, family, friends and coworkers Self adhesive Scratch /Water resistant Seals and protects pictures to 3D effect Color: Clear Material: Epoxy Size: approx. 2.54cm Packaged：20pcs Round Stickers Conversion : 1 inch = 25.4mm or 1mm = 0.0393 inch,1cm=10mm Check out my other items! If you love my items, please turn to my homepage and click “follow”. Be sure to add me to your favorites seller. Notice: 1. Please allow 1-3mm error due to manual measurement. Please make sure you do not mind before you bid. 2. The colors may have different as the difference display, please understand. Use these round epoxy stickers to create a 3D look in your bottle cap project! Made of high quality epoxy. 100 Pcs 1" Crystal Clear Epoxy. Seals and protects pictures to 3D effect. Self adhesive. Thickness : 1.5mm. Color: Random color. We maintain high standards of excellence. Rate (item arrived). United Kingdom. Made of high quality epoxy. Seals and protects pictures to 3D effect. 3D visual effects. Shape or Style: Circle or Round. Scope of application: all kinds of jewelry paste, sealed and protected pictures. Use these round epoxy stickers to create a 3D look in your bottle cap project! Made of high quality epoxy. 100 Pcs 1" Crystal Clear Epoxy. Seals and protects pictures to 3D effect. Prolonged exposure to sunlight may cause the stickers to yellow. 30 IMAGES PRINTED. Colors may vary from one computer monitor to another. Feature： Brand new and high quality Fashion and Wonderful design Perfect for birthday/holiday card making, wedding deco, kids gift, sewing, scrapbooking, hair bows/clips, Cell phone deco, frame embellishments, Color: Random color Material: Metal Size: approx. 2.5-3.4cm Packaged：10pcs Flat Bottle Caps Notice: 1. Please allow 1-3mm error due to manual measurement. Please make sure you do not mind before you bid. 2. The colors may have different as the difference display, please understand. Note to all buyers, please read shipping description before order and make sure that your Ebay address is correct,we will ship the order to your EBAY address. Quality: AAA Item Condition:100% Brand New Color：See Picture Size: Inner Diameter Size:1"; Core Diameter Size:1.3"; see second listing picture Quantity: 10 pcs bottle caps The bottle caps are really cool for your crafts, like birthday/holiday card making, wedding decoration, kids gift, sewing, scrapbooking, hair bows/clips, Cell phone decor, frame embellishments ect.. If you want to wholesale,just contact us,we do the business. 500 FLATTENED -FACTORY PRESSED. Be sure to check out all our bottle cap supplies.you can also find other fun projects too. FOR SPLIT RINGS TOO! You can use these to make so many amazing and fun crafts. 100Pcs 1" Round 3D Dome Sticker Crystal Clear Epoxy Adhesive Bottle Caps CraftS! Feature： Brand new and high quality Self adhesive Scratch /Water resistant Seals and protects pictures to 3D effect Color: Clear Material: Epoxy Size: approx. 2.54cm Packaged：20pcs Round Stickers Notice: 1. Please allow 1-3mm error due to manual measurement. Please make sure you do not mind before you bid. 2. The colors may have different as the difference display, please understand. 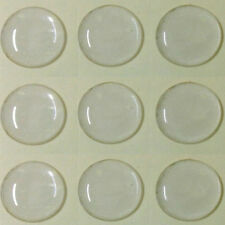 • 100 pcs epoxy adhesive circles bows bottle cap stickers. Use these round epoxy stickers to create a 3D look in your bottle cap project! • Made of high quality epoxy resin. • Material: Epoxy Resin. Color: Random color. We maintain high standards of excellence. High product quality. Rate (item arrived). Made of high quality epoxy. Am 10.03.19 hat der Verkäufer die folgenden Angaben hinzugefügt Seals and protects pictures to 3D effect. 3D visual effects. Self adhesive. Shape or Style: Circle or Round. They'll crimp over the edge with the help of capper. 2, Easy to pop onto pry-off style bottle. 5, Excellent reliability and compatibility with the glass ends. 1, Plain silver top makes for easy labeling of your different batches of brew. Suitable for necklace, earrings, bracelets and keychain. We'd like to settle any problem in a friendly manner. Silver color and glossy round face. Color: Silver. We want to make sure you are happy with our item. Made of high quality Glitter epoxy. 100 PCS 1"(2.54CM) Glitter powder Circle or Round Crystal Clear Epoxy. Color: Glitter powder. Seals and protects pictures to 3D effect. 3D visual effects. Shape or Style: Circle or Round.